Check this out folks. My magazine is now available. 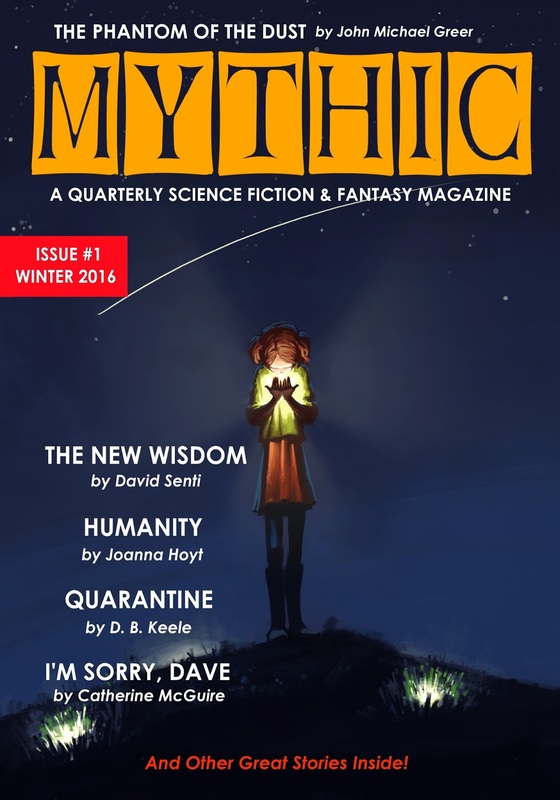 This is the first of I hope many issues of MYTHIC: A Quarterly Science Fiction & Fantasy Magazine. Yours truly is the editor of this new publication and I also happen to have an original story inside as well. The project is being published by Founders House Publishing, my company. If you're interested in what we're doing over at MYTHIC go over and take a look. For those interested in buying a copy, you can buy one from MYTHIC direct by visiting the ISSUES page on the website or you can buy it from Amazon and other booksellers as the issue continues to go live and spread across the web. 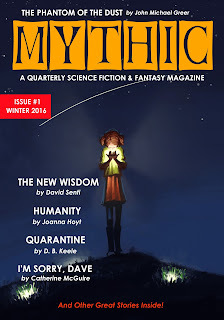 If you'd like to buy a one-year subscription (4 Issues) to MYTHIC, you can do this at www.mythicmag.com as well. Visit the SUBSCRIBE page.